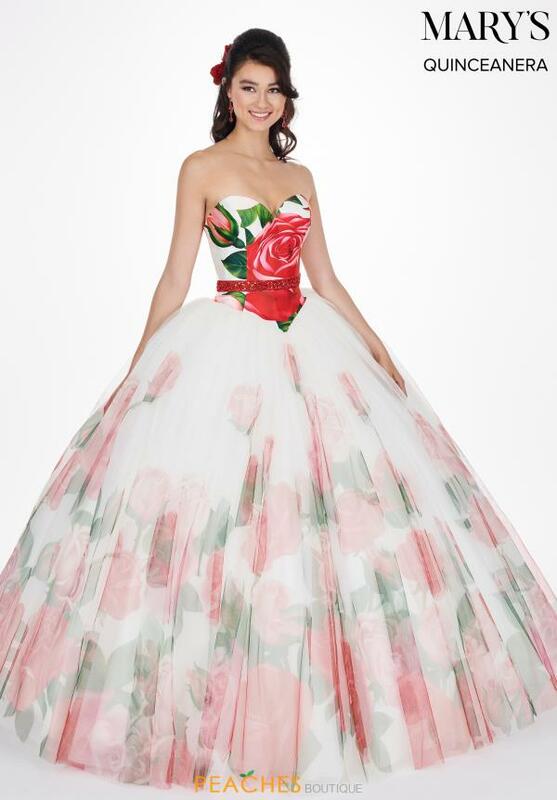 Eccentric and versatile, this gorgeous Mary's ball gown dress MQ1030 will magnetize all guest. 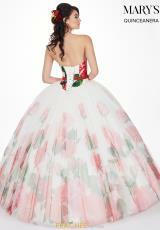 Showcasing a strapless sweetheart neckline and full a line silhouette, this charismatic gown is fashion perfection. Shimmering beads adorn the waistline defining your figure. A vibrant floral print adorns the entire silhouette making this style a phenomenal choice.